The Personal Outdoor Plan (POP) is a template for you to use when going on expeditions or days out. The POP is left with someone you choose, and who can then pass the contained information to the emergency services, should you fail to return at the stated time. In preparing for a trip, the POP can also serve as a planning tool and a checklist to make sure you have all of your essential items. The emergency services rescue many people each year with very few details. During any emergency situation time is always a factor particularly when someone is injured. The more information Rescue planners and other emergency services have with regards to your trip and your actions in an emergency the sooner they can narrow a search area and speed rescue. The reason the POP is copywrited is to prevent other people from copying the POP form and making money from it. The POP is a free download with the aim of helping to save lives. If you wish to pay for it then Chris recommends donating a sum to your local Search & Rescue group. The POP can be completed and left with or emailed a friend. Each member of a group can leave their own POP or one may be completed for a whole group (please ensure that the group identity is made clear as to prevent multiple searches for the same group of people). The POP is NOT intended to be left in ski lodges or outdoor centres, where it could potentially cause unnecessary concern and confusion if the return date and time are passed and the POP is not cancelled or removed. Below you can download a blank Personal Outdoor Plan. The download is in PDF format and should open in a new window. You can save the download either from the window in which the document will open or by right-clicking on the button below and selecting ‘save target as’. Because this is a PDF you can print it and complete it by hand but not electronically. If you want to complete a Personal Outdoor Plan by typing the details straight into the form, then choose the MS Word format lower down. Below you can download a blank Personal Outdoor Plan. The download is in MS Word and should open in a new window. If you don’t want to open the document now, you can save the download either by choosing ‘save’ instead of ‘open’ after clicking the button below or by right-clicking on the button below and selecting ‘save target as’. 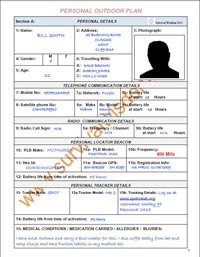 You can print this document and complete it by hand or you can type details straight into the form. Below you can download a Personal Outdoor Plan filled with example data. The download also contains guidance notes on completing your own POP. 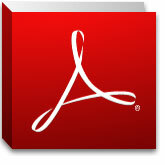 The download is in PDF format and should open in a new window. You can save the download either from the window in which the document will open or by right-clicking on the button below and selecting ‘save target as’.